For almost 60 years, the Small Business Administration (SBA) has been helping businesses get their start by offering an array of services. More than 20 million businesses have received direct or indirect help from the SBA program. In 1952, the RFC was abolished. 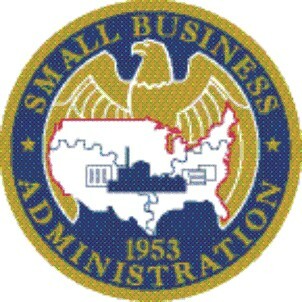 In 1954, the SBA was making direct business loans and guaranteeing bank loans to small businesses. In 1958, the Investment Company Act of 1958 established the Small Business Investment Company (SBIC) Program. It was SBA licensed and regulated and helped provide funds for privately owned and operated venture capital investment firms. In 1964, the SBA created the Equal Opportunity Loans (EOL) Program. This relaxed credit and collateral requirements for applicants living below the poverty line. In 1976, the Office of Advocacy was created to protect SBA programs and small businesses within the Federal Government. Lendio’s mission is to empower your small business by making small business loans simple through options, speed, and trust. Whether you are looking for an acquisition loan or startup loan, Lendio offers hundreds of different loan products from a variety of lenders. Find out which business loan is best for you. This is a load of propoganda – the federal government isn’t supporting small business, it’s cutting them off. The proposed SBA budget stands at $985 million for 2012 — down from the $1.8 billion the SBA received in 2010, a total that was fueled in large part by $962 million in supplemental stimulus appropriations that were designed to help boost small-business loans. Those appropriations are no longer available for 2012. Other areas slated for budget cuts include Small Business Development Centers, which provide support and mentoring to entrepreneurs, and administrative costs, including a $7 million drop in salaries and expenses. Good information, Douglas. The intent of it was to show the timeline and history of the SBA, not as much to show its effectiveness (or lack thereof). From most feedback and comments about the SBA we’ve seen, I think a lot of people agree with you. An appropriate historical representation of the SBA would show that at its origin there was significant disagreement with the size of businesses the politicians ended up defining as “small”. 500 employees is not a small business and that condemned the SBA to the trash heap of irrelevance from the day it was born. With that in mind, it’s not 99.7% of businesses defined as small, which would be absurd enough, but 99.98%. There are 27.3 million businesses and only 6,060 are bigger than 500 employees – do the math. The other stat that would show the proper historical perspective on the SBA is the percentage of small business loans the SBA actually delivers, which is less than 2.5%. That is almost a statistically irrelevant percentage. When you show those loan amounts on your graph, it gives the appearance these are all backed by the SBA. The SBA should be eliminated, simply because it’s never represented small business. That lack of representation should show up clearly in any historical view of the SBA. A small business is defined as having LESS than 500 employees – or did I miss something? Question: Does any loan or loan type from the SBA include ADA Accessibility requirements?